Your callers have no idea that your phones have been ringing off the hook, or that the caller before them was rude to the receptionist who fielded that call. And honestly, they shouldn’t know because it shouldn’t affect how they are treated. All that matters is why they are calling and how the virtual receptionist is going to help them in the most efficient and effective way possible. Communicating anything beyond that falls into the “too much information” category and is unprofessional. We get it that receptionists are busy, especially when more than one call comes in at a time. But speeding through greetings and questions frustrates callers and usually results in having to repeat information. Virtual receptionists should remember to slow down and speak clearly in a cheerful, professional voice. 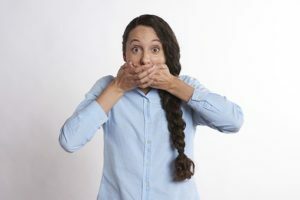 While it may very well be true that a virtual receptionist doesn’t know the answer to a caller’s question, simply saying “I don’t know” erodes the caller’s confidence that the receptionist is capable of taking care of them. If a receptionist doesn’t know the answer, saying, “That’s a great question and I want to be sure I get you the right answer. May I put you on hold while I find out?” or, “May I call you back shortly with that information?” is much more professional. Virtual receptionists are responsible for establishing and maintaining a calm, friendly tone with each call, even if the caller is angry or rude. Responding with impatience or even retorts only escalates the situation. Instead, virtual receptionists should remain calm and offer empathy and a solution. For example, saying, “I can imagine that was very frustrating for you, here’s how we can fix that” reassures the caller and keeps the call productive. These are just 6 of many bad call-handling habits that could be reflecting poorly on your business. If your receptionists are overwhelmed and not able to consistently manage the best phone habits, it may be time to consider outsourcing your calls to the virtual receptionists at a live answering service. If you’d like to learn more about how live virtual receptionists can handle your calls with the most professional etiquette, contact Voice Link of Columbus, Inc. Our customized communication solutions, secure HIPAA/HiTech messaging, and appointment scheduling can save you time and money while increasing customer loyalty. We offer month-to-month service agreements to meet the needs of any business regardless of size. Our excellent reputation, expert staff, and state-of-the-art facilities in Columbus and LaGrange, Georgia, will exceed your expectations. Request information online or call us at (800) 262-2799 for a free consultation.